About Albert P. DuPont, Ed.D. As an Executive Director of The John Maxwell Team, I am certified to facilitate, speak, train and coach individuals and groups in the areas of leadership development, professional skills and personal growth. Trained and mentored by John Maxwell and mentors of his world-class faculty, I am equipped with the tools, resources and experience to help you and your team improve your productivity, performance and profitability. 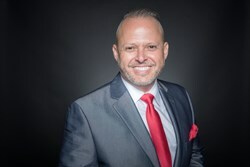 Whether you are looking for a facilitator for group workshops, corporate training in leadership, speaking, sales, or coaching skills for your leaders, or a speaker for your next event, I have access to exclusive content that is only available through a certified Executive Director of the John Maxwell Team to help you reach your goals and objectives. I have become a widely renowned leadership consultant, wellness coach, and executive consultant. With nearly 30 years in the field of education, I have gained a great deal of experiences in transforming schools. With a proven track record of education success, I am trusted by my clients for my ability to break through barriers and elicit transformational practices. I am on a mission to ensure that both he and the people whom I coach are making the world a better place and having a positive impact every day. Best known now for designing innovative school models and developing leaders, I previously held posts in Houston (TX) Independent School District, Seaford (DE) School District, Montgomery County (MD) Public Schools, DC Public Schools, and St. James Parish (LA) School System. I have served in many positions including teacher and school/district leader. I am committed to supporting people in their pursuit of a happy, balanced life. Additionally, I am a certified meditation teacher and am currently studying to be a yoga teacher. I love great movies and theatre. In my spare time, I can be found checking out the last movie or attending a live performance.